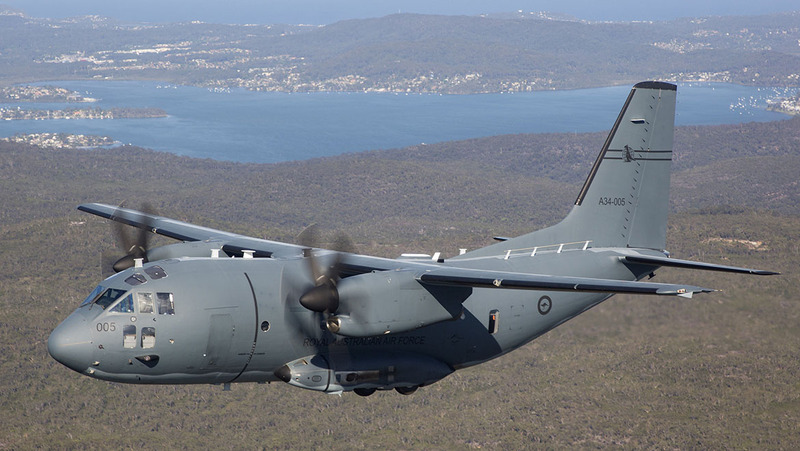 The C-27J is not a straight replacement for the RAAF’s much-loved Caribou, but nor is it a mini Hercules. 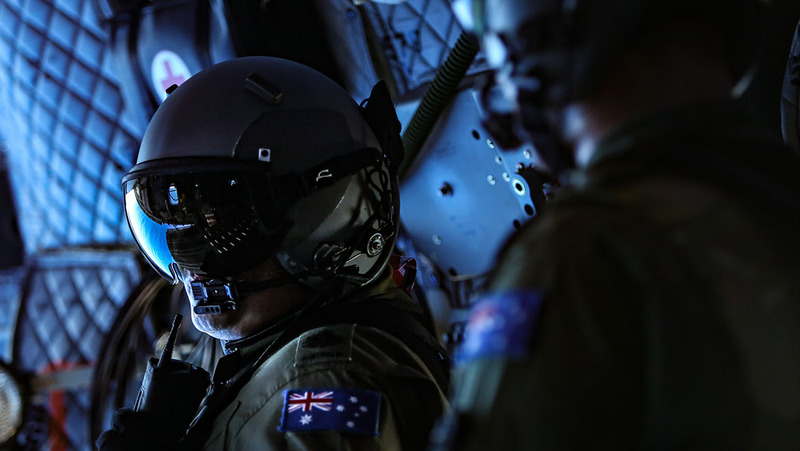 With all 10 aircraft now in the fleet, Australian Aviation visited 35 Squadron at RAAF Base Richmond to learn more about the growing maturity of the ADF’s newest airlift asset. It is now three years since the first of 10 Leonardo/L3 C-27J Spartans entered service with the RAAF’s 35 Squadron at Richmond. Since then, the unit has been building its fleet and personnel cadre, and has conducted operations in Papua New Guinea, and taken part in major exercises in New Caledonia, Guam, New Zealand and in Australia. 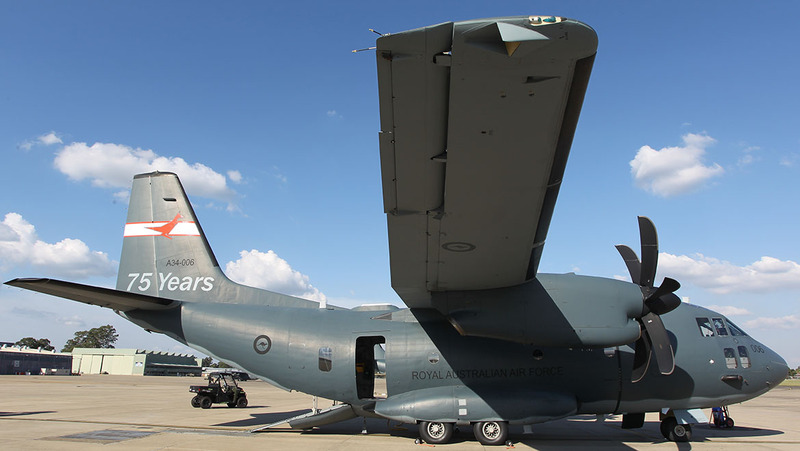 An initial operational capability (IOC) for the RAAF’s C-27J was achieved in December 2016, and the 10th and final C-27J was accepted at a ceremony at Richmond on April 18. Final operational capability (FOC) is expected to be achieved in late 2019 once the unit has relocated to its permanent home of RAAF Base Amberley and it has filled all its personnel slots. 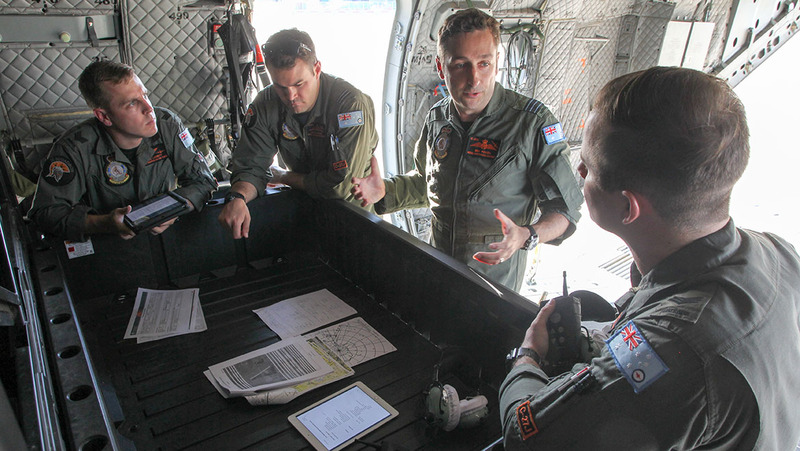 The man tasked with bringing the C-27J to FOC is 35SQN Commanding Officer Wing Commander Ben Poxon, who came to the aircraft with more than 3,000 hours on the C-130J Hercules. A veteran of seven tours of the Middle East on the C-130J, he completed a philosophy master’s degree at the US Air Force’s School of Advanced Aerospace Studies in 2014. “From there, I wanted to command 35SQN. I saw the C-27J capability pretty much at the same stages where I found the C-130J capability in 2005. It is an immature capability with plenty of room to grow, and now I’ve been flying it for 12 months, I’m glad that I did,” he told Australian Aviation during a visit to Richmond in late April. WGCDR Poxon describes the path to FOC as a crawl-walk-run approach to capability generation, and defined the squadron’s current status as being in the walk stage about to break into a run. Using a graphic of a three-tiered cake to illustrate his point, WGCDR Poxon described the process. “From an air-land point of view, the lower layer is airlift support which is moving people and cargo in a peacetime role such as HADR, the middle layer is airborne operations that introduces operations in a threat environment, and the top layer is special operations or specialised role environment. In such an environment, 35SQN crews would be wearing body armour and carrying weapons, and would have the aircraft’s self-defence systems enabled so they can conduct airdrop or air-land operations anywhere in the world. To this end, the squadron will participate in two major exercises this year, Hamel and Pitch Black, where it will develop and practice the skill-sets required to operate in a tactical threat environment. 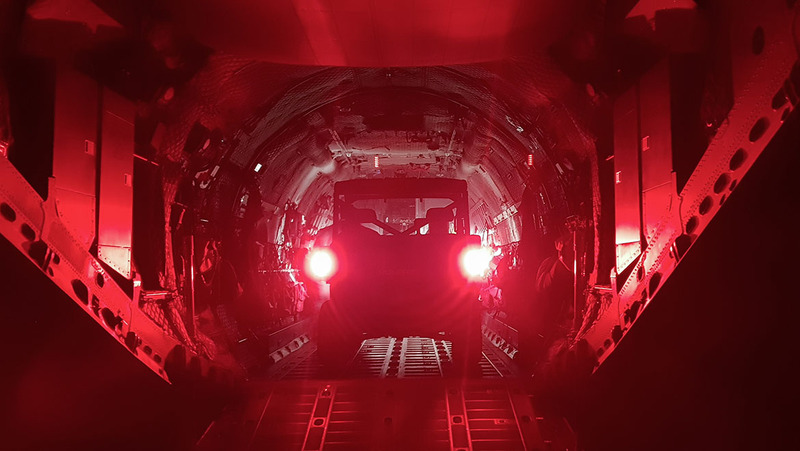 “For Exercise Hamel our objectives will be to provide a reliable and repeatable resupply of ammunition, food, and medical supplies into the field,” WGCDR Poxon explained. “The C-27J is the truck in the sky. We provide options to land manoeuvre forces on the battlefield. This will allow commanders to consider the C-27J to insert or extract personnel and cargo rather than typical land manoeuvre. The special operations support mission will be a key focus in 2019 in the lead-up to FOC, and will continue to be developed throughout the aircraft’s life of type. “The type of aircraft and the capability each AMG aircraft brings adds a different slice to each capability set. If we talk about C-27J, specifically ‘how’ we will employ it is where it’s best capability is,” WGCDR Poxon said. 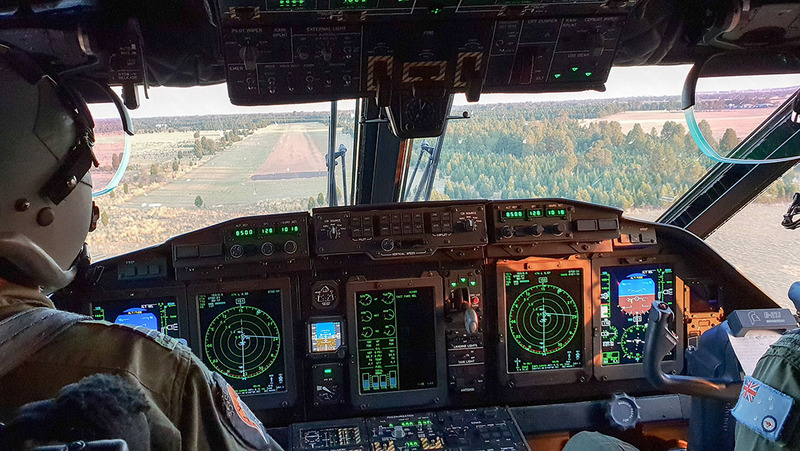 WGCDR Poxon explained that C-130J or C-17 missions will typically sit on an air tasking order (ATO) generated by an air operations centre (AOC) that runs on a 72-hour cycle. This represents centralised command and decentralised execution. But because the battlefield is a dynamic environment, the C-27J will operate in direct support of Army units alongside helicopters from a forward location so they can be quickly re-tasked if necessary. Therefore, the C-27J may be employed in a decentralised command framework. 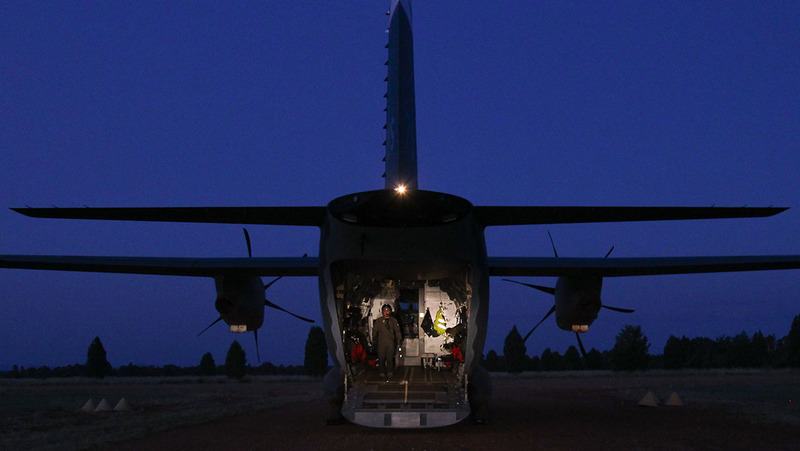 “The C-27J has the ability to operate on a reduced battle rhythm of less than 24-hours. So, our crews will plan with the people that actually conduct the tasking. This will provide more responsive, reactive tasking to our customers,” WGCDR Poxon said. With the C-27J sitting between the CH-47F and the C-130J, the wider ADF is also conscious of the need to support this hub-and-spoke concept, and has planned the building of cargo pallets so they can be offloaded from a larger aircraft to a smaller one without having to be broken down and re-built. While this may sometimes see the larger aircraft under-filled, the time-saving advantages in getting equipment to the forward bases and onwards into the field cannot be understated. Part of integrating the C-27J into service has been the process of educating the aircraft’s customer base. “One problem we have is that the C-27J was sold as a Caribou replacement, and to a certain extent that’s correct. It is a twin-engined, smaller, light tactical transporter. But the battlefield of today has changed,” WGCDR Poxon said. While the C-27J doesn’t have that much of a shorter landing roll or takeoff run than a C-130J, where it excels is in its ability to land on strips with a much lower pavement classification number (PCN), a rating used to indicate the strength of a runway, taxiway or ramp. 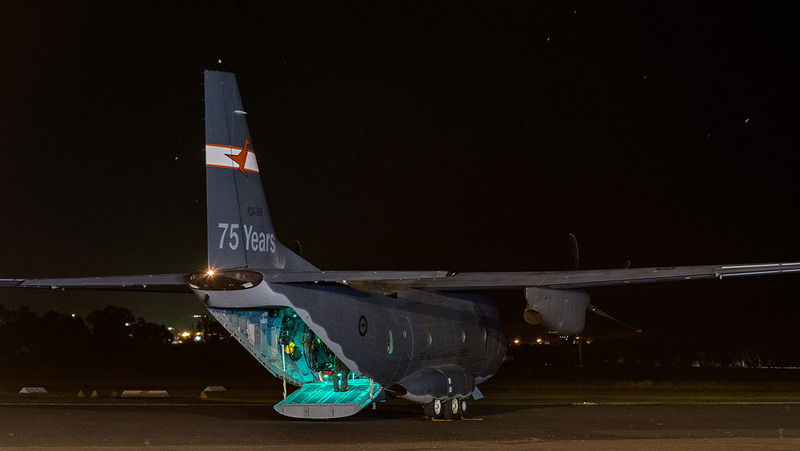 As a consequence, while the C-27J carries a lot less than the Hercules, the RAAF claims it can access up to 1,900 airfields in Australia compared to about 500 for the C-130J. “We’re very adept at small team insertions and extractions,” WGCDR Poxon said. The RAAF C-27Js are to receive a mode 5 IFF upgrade and ADS-B from later this year which will allow them to operate without restriction in international airspace. The first upgraded RAAF aircraft is currently in Italy being modified, and the rest of the fleet will be modified in Australia by RAAF and Leonardo technicians. The C-27J airframe also features numerous currently blank antennae and apertures in anticipation of these being used for possible future communications and sensor additions. 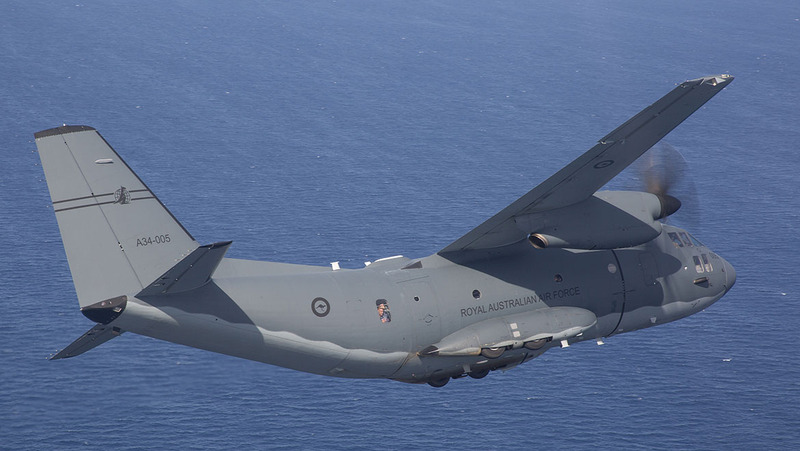 WGCDR Poxon said the C-27J’s commonality with the larger C-130J was already paying dividends for the RAAF. “In general, one of the biggest advantages that we have had is the commonality with C-130J,” he said. One of the key advantages is the ability for 35SQN to leverage the RAAF’s C-130J workforce to assist in supporting and training the C-27J maintenance workforce. Similarly, due to the similar cockpit layouts and mission planning systems, the training for a pilot transferring from the C-130J to the C-27J can focus more on the aircraft’s different handling characteristics and capabilities, rather than having to start from scratch. “The avionics architecture is very similar as well. The CNI or the FMS is almost identical to a 2008/2009 C-130J, so I can bring a pilot from C-130J over to C-27J in six weeks, whereas it probably takes a good five months to train someone from the start or from another aircraft type,” WGCDR Poxon said. “The roles are also very similar. Everything from intelligence products, to briefings, to how we conduct business for loadmasters down the back is almost identical. It’s a very good purchase from that point of view. With his C-130J background, WGCDR Poxon said he felt at home straightaway in the cockpit of the C-27J. Being a smaller and lighter aircraft, the C-27J handles quite differently to the C-130J. In the tactical environment, pilots can stay lower for longer as the nimbler C-27J will get them into and out of valleys and over ridgelines much quicker. But the C-27J is more difficult to land as it sits on a narrower main undercarriage track and can dip on the nose and gets light on the mains when braking. “If there’s any side movements whatsoever, you almost feel it’s a little bit tippy,” WGCDR Poxon explained. The C-27J also has a higher thrust to weight rating, so it climbs very quickly. “It’s got a lot of power behind it. Where we would typically put a C-130J’s nose up to 10 degrees for takeoff, we’re up around 17 or 18 degrees for takeoff for the C-27J. WGCDR Poxon estimates the C-27J capability is a good five years ahead of where it would have otherwise been because of the commonality with its larger cousin. “Both aircrew and maintenance that transition across to the aircraft bring a lot of knowledge with them,” he said. While most of 35SQN’s pilots had come from other multi-engined types or via the King Air, WGCDR Poxon said he was now getting more straight from 2FTS. “Most of them have come from King Air and C-130J,” he said. “We’ll get a few from the P-3 through our transition. But then we’ll get 2FTS graduates to come through at the bottom. “We actually need the 2FTS graduates to come through and do a typical co-pilot to captaincy tour. 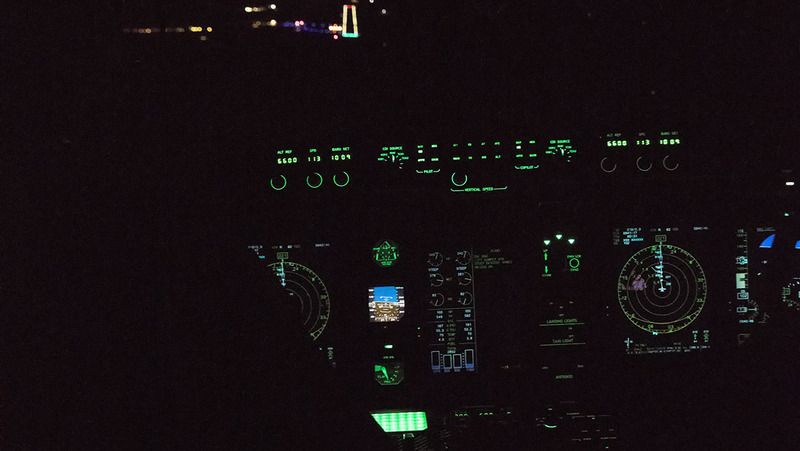 Until now we have focused quite heavily on the flying supervision side. But if you have too much experience, then you have a top-heavy squadron and risk progressing at a rate unachievable for 2FTS students,” WGCDR Poxon said. Pilots new to the C-27J who have come from a type other than a C-130J do a six-month initial qualification course, at the end of which they are able to conduct airborne operations missions competently. At least six weeks of that course is currently conducted at Pisa in Italy, but this will transition to Australia from 2024 when a C-27J simulator is installed and certified at Amberley. One ‘bograt’ pilot new to the C-27J is PLTOFF Katherine Mitchell who has come straight to the aircraft from being awarded her wings at 2FTS. “I came straight off pilot’s course in December last year,” she recounted. “At the beginning of this year we went through ground school phase, then went over to Italy for five weeks for sim phase. There we did our basic instrument flying tests, a bit of basic tac and stuff. We’ve just started our first flying phase and have done a couple of flights, and we’re heading off on an (around Australia) ‘Aus-trainer’ in June or July,” PLTOFF Mitchell said. From that point she will progress initially as a trainee co-pilot under the guidance of an experienced pilot, before being rated as a C-Cat co-pilot by the end of the year. From there she should be able to achieve her captaincy on the aircraft in 2019. As with all RAAF flying operations, C-27J pilots are given category ratings based on their proficiency. “D-Cat is safe operation of the aircraft, and a C-Cat is proficient, so you can employ that aircraft proficiently in a mission,” WGCDR Poxon said. No less important than the pilots are the C-27J’s loadmasters, and like the pilots, the ‘loadies’ have a mix of experience and backgrounds. “We’ve got our first direct entry off-the-street loadmaster,” 35SQN’s executive loadmaster, WOFF Dave Pyatt said. “Traditionally it was a re-muster role, but Air Force has identified that we need to reach out further without taking a lot of the resources and corporate experience, and actually develop more. “So we have eight ab-initios coming through,” he added. “This includes our Army private who made the lateral transfer across and who, when he graduates this year, will be corporal loadmaster. We changed the rank from sergeants down to corporals so we can turn that top-heavy, warrant officer-centric workforce into one that is more merit-based. As WGCDR Poxon explains, “35SQN conducts all of the maintenance on the aircraft. So, the men and women who are working on the aircraft and pulling it apart are learning all the baseline skills that you would need to repair a battlefield airlifter in the field as well. 35SQN looks after the C-27J with the support of Northrop Grumman, which last November was announced as having been awarded a performance-based contract to maintain the aircraft. But unlike most industry-led sustainment contracts, Northrop Grumman doesn’t actually lay a finger on the aircraft itself. “They provide the engineering services,” 35SQN senior engineering officer (SENGO) SQNLDR Amanda Gosling Clarke said. There is also a small team of Leonardo field service representatives who work through the Northrop Grumman contract, while engine maintenance is performed by Standard Aero, which also looks after the C-130J’s engines. SQNLDR Gosling Clarke also came from C-130Js. “A lot of people think of C-27J as a mini Herc because it looks like one,” she said. “But realistically, it’s pretty far from that when you get into the maintenance of it. While it shares some systems, it’s definitely a different beast,” she said. “Because it’s from a smaller production line, it’s a handmade sort of aircraft. Its publications have a very different…philosophy, which has been interesting for our maintenance team to learn and to think about things in a different way than perhaps with Lockheed Martin maintenance publications. 35SQN’s maintenance team has now performed three series of servicings on the aircraft, and performed its first engine change in April. The squadron is also being more efficient with its workforce, by cross-training maintenance personnel across multiple trades. “There have been a lot of things that we don’t do on other air force platforms, because we’re doing the deeper maintenance level servicings as well as the operational servicings,” SQNLDR Gosling Clarke said. “The squadron has been established with a ‘grey trader’ initiative in mind, so for any task that we can cross-trade or cross-train people, then we will. The C-27J has a phased maintenance approach, where every part of the aircraft is serviced over a four-year cycle. 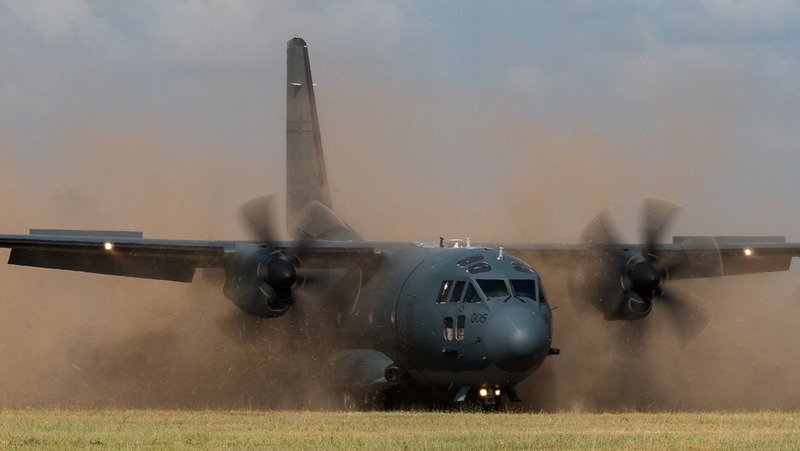 As a consequence, the longest a C-27J will be out of service is about eight weeks, whereas a C-130J can be down for six or more months during a major service. “It’s actually quite difficult to think about compared to the American system,” SQNLDR Gosling Clarke said. One of 35SQN’s strengths in introducing the C-27J is the diversity of experience of its personnel SQNLDR Gosling Clarke said. “We’ve got such a diversity of backgrounds through our organisation, and there’s been some really innovative ideas coming from those places,” she said. Great article guys. Nice to understand the role of the machine a bit better. Amazing looking aircraft. Suggest a magazine article on precision airdrop using GPS-guided chutes and dropping from quite high altitudes, please? I found that mentioned in the C-27 article. Sounds interesting!! Very much enjoyed the rest of the C-27 article as well!